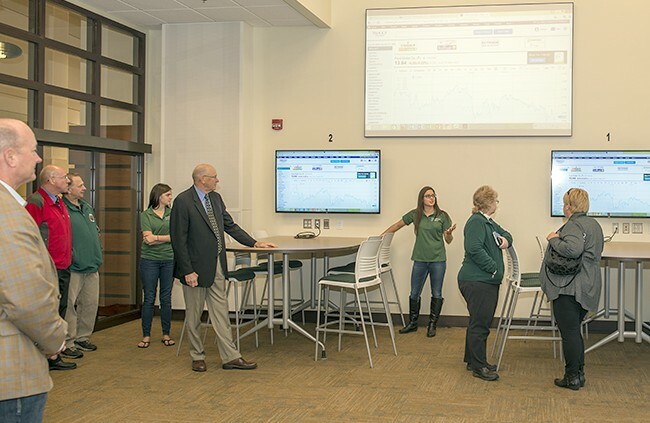 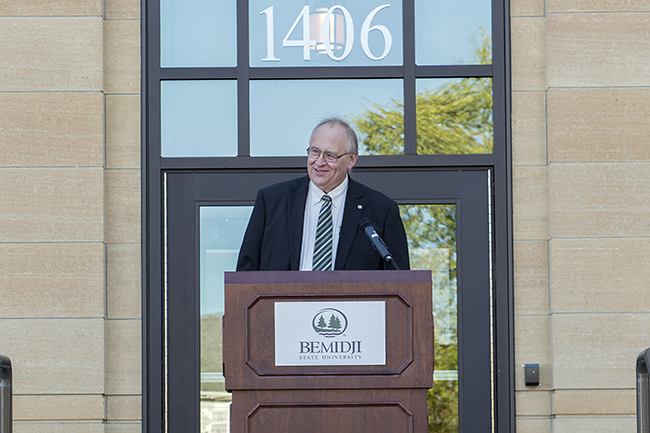 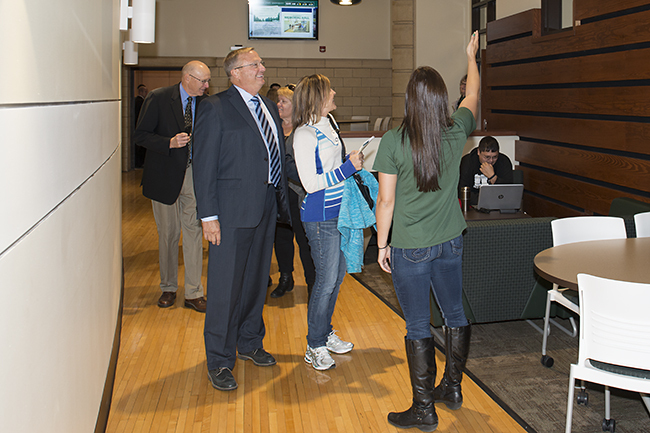 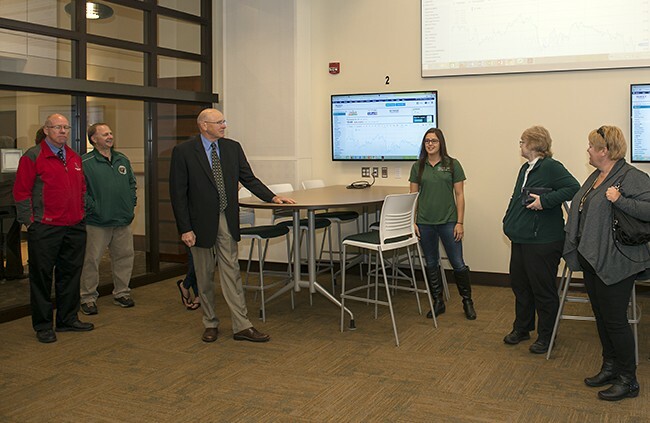 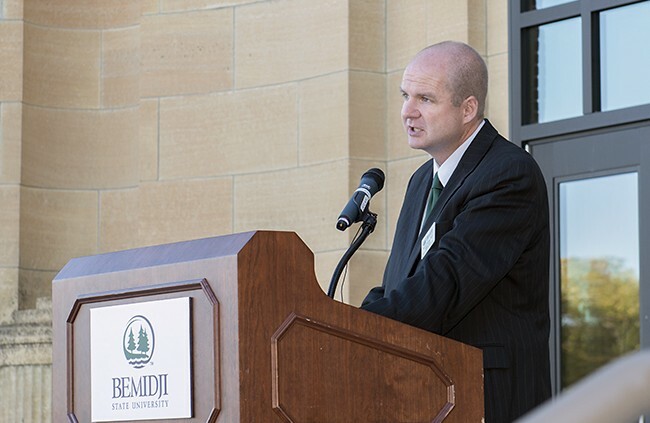 Bemidji State University officially unveiled the newly renovated Memorial Hall during an Oct. 2 ribbon-cutting ceremony on campus. Memorial Hall, among the oldest buildings on campus, underwent a $13.79-million renovation that began in September 2014 which transformed the 75-year-old basketball gym into a state-of-the-art home for BSU’s business and accounting programs. 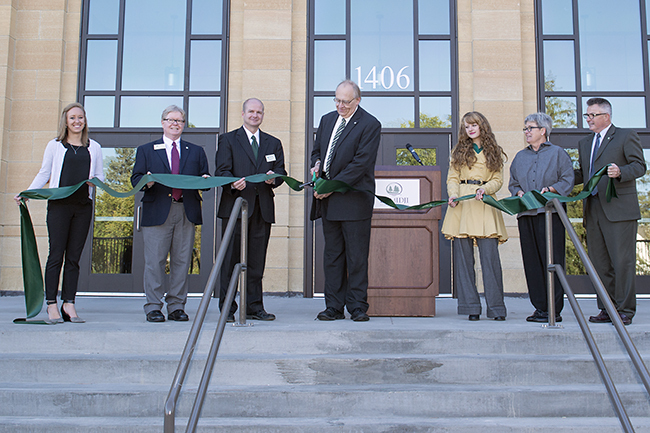 The building opened for classes this fall semester. 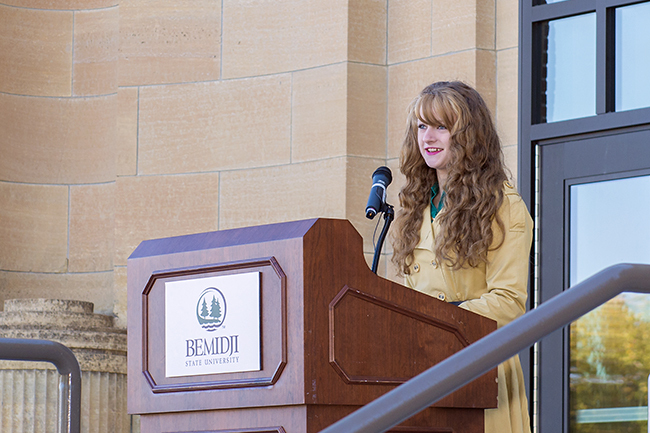 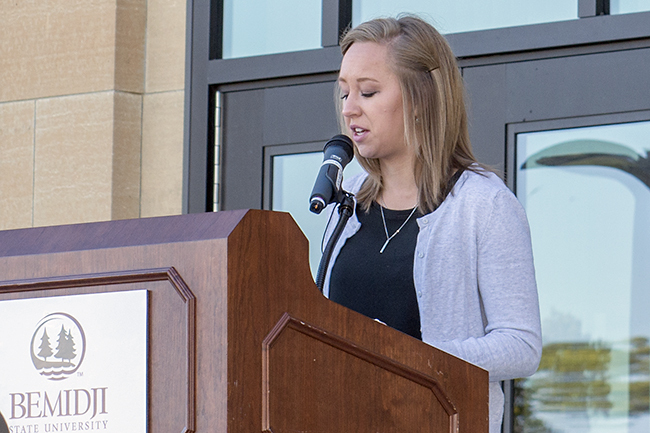 Dr. Shawn Strong, dean of BSU’s College of Business, Technology and Communication, and BSU students Lisa Kittleson, a senior marketing communication major from Young America, Minn., and Marie Schwinghammer, a senior accounting major from Bemidji, also addressed the gathered crowd. 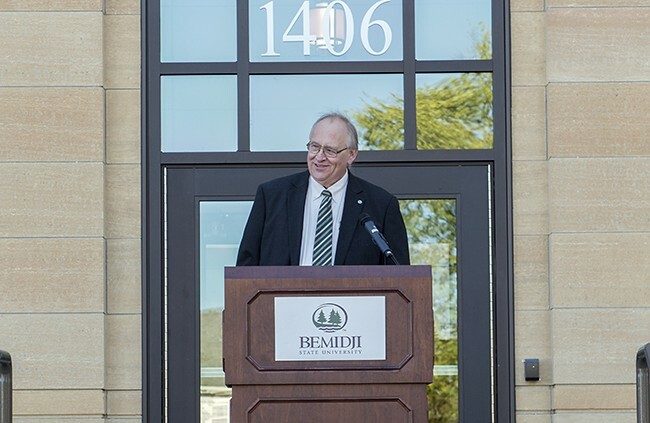 Strong also said the new Memorial Hall has been designed to meet LEED certification, using 20 percent less energy and 40 percent less water than conventional buildings. 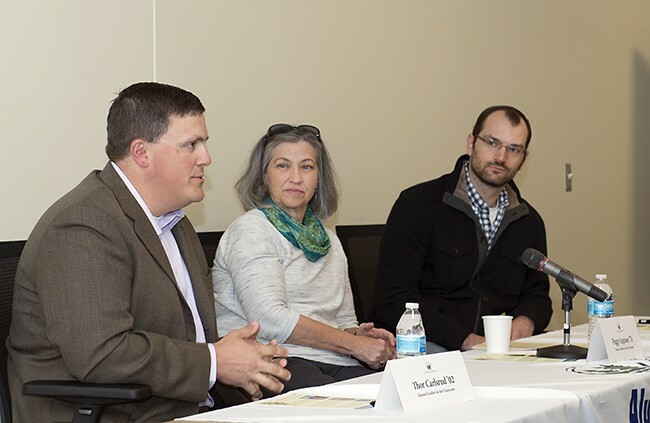 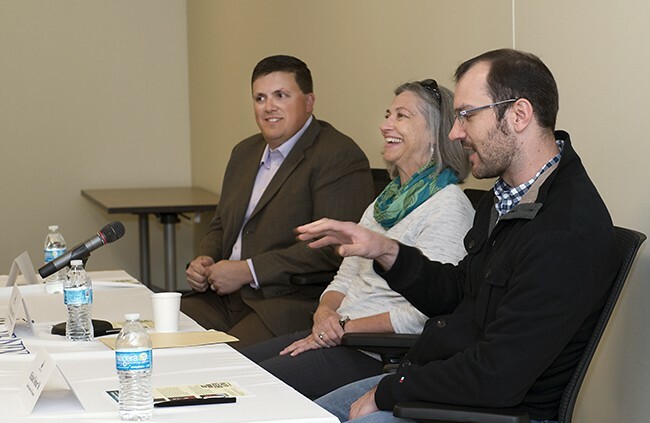 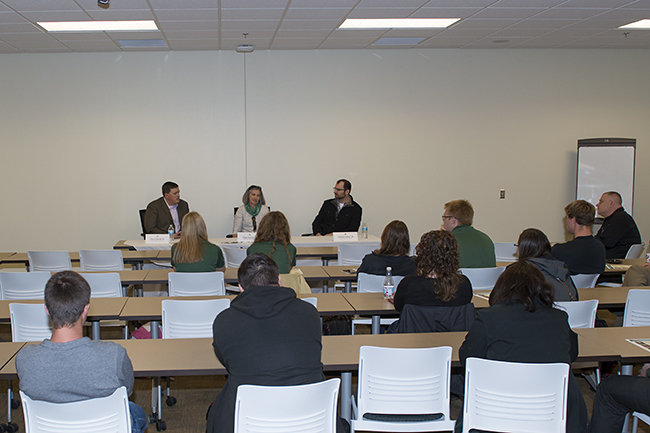 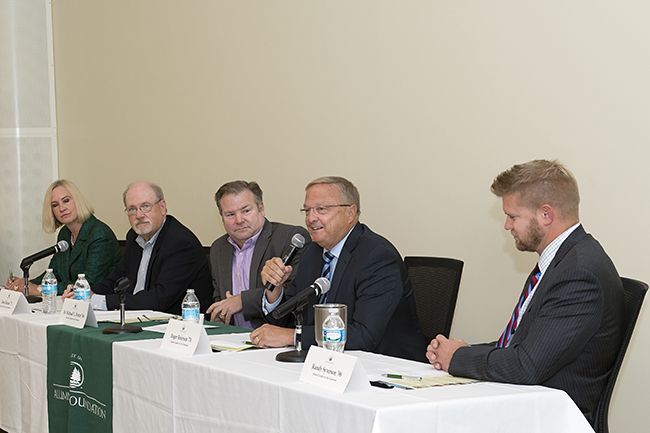 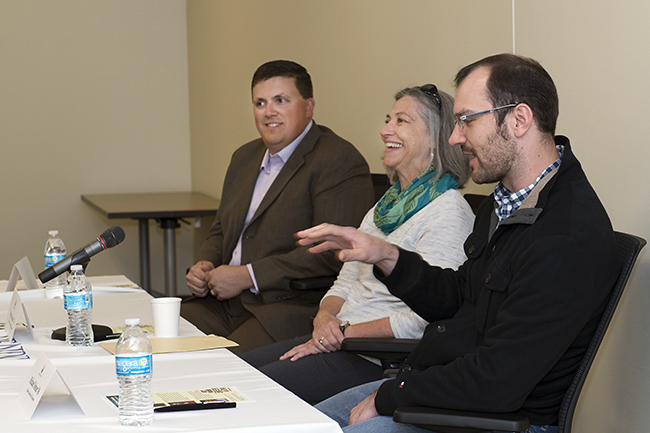 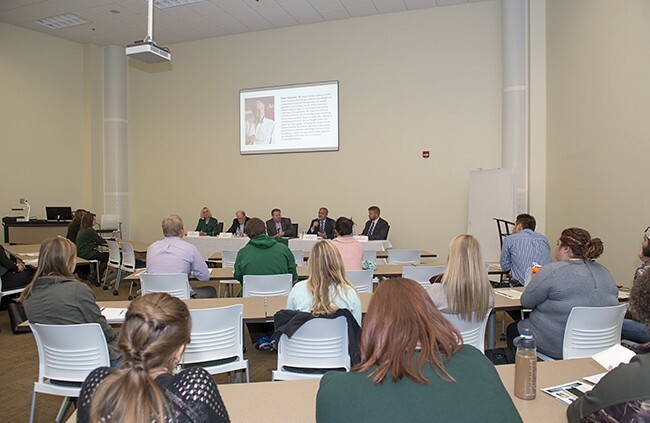 After the dedication ceremony, the building hosted alumni in accounting, marketing and business for the traditional Alumni Leaders in the Classroom event, which brings alumni into the classroom to share their professional experiences with current students. 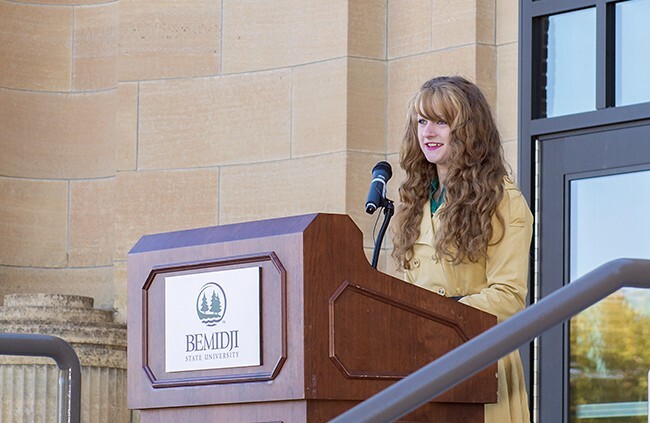 Lisa Kittleson, senior, marketing communication, Young America, Minn.
Marie Schwinghammer, senior, accounting, Bemidji, Minn.
Students led tours of Memorial Hall after the ribbon-cutting ceremony.